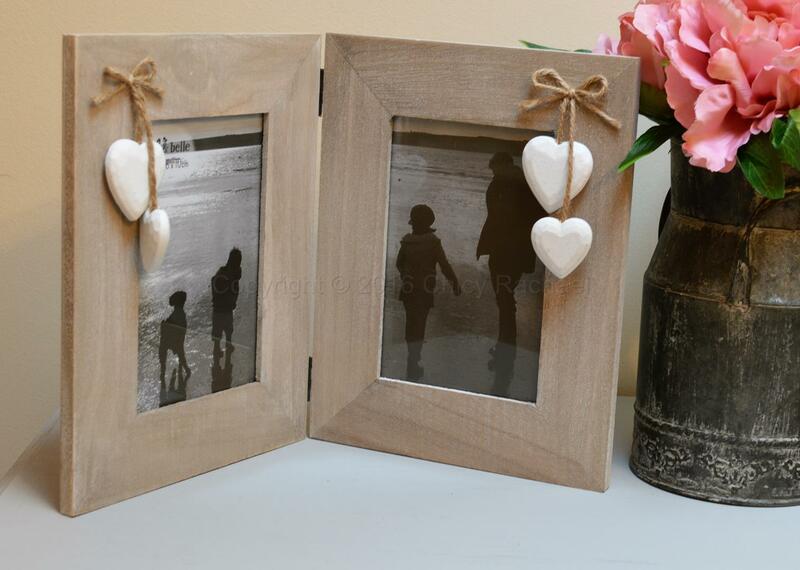 A beautiful free standing white washed double frame with lovely white chunky hearts hung from jute bows. 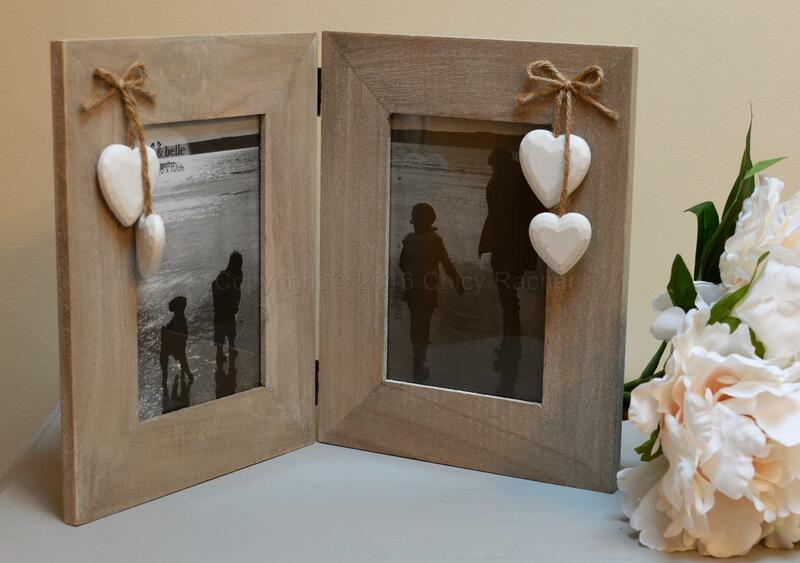 This hinged frame would look lovely with wedding photo’s in or picture of your children. It would make a lovely gift for any occasion.